"Straight outta' Crom-pton, crazy mutha #ucka named Blachura!" Good times at Cromwell tonight. 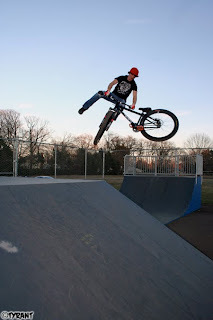 First session of 2010 at the Crompton Park and it was a chill one. The temps were pushing 70, dudes were hanging out and riding bikes, and the sun was shining...ideal to say the least! Hello Spring!